Crimes in the name of ‘honour’ are on a rise in India. Both rural and urban areas have seen young citizens being killed for exercising their right to choose their life partners. With changing economic and political contexts, intermixing of boys and girls has increased in schools, colleges, clubs, workplaces and travelling in local buses and trains. Liberal education also makes them question inequalities based on gender, social and caste status. In the era of capitalist expansion, among the upper stratum of society, marriages are determined to enhance capital accumulation, facilitate mergers and business collaborations, increase property and develop joint businesses. This makes women and children of the propertied class pawns in power games of the patriarchal class interest. Concentration of property, land, wealth, business, prestige, power and political mileage has become mantra for upward mobility. Thus, the elite set the benchmark for marriage practices. Cultural nationalism and identity politics coupled with neo-liberalism have provided material basis for forcible endogamous marriages. Those couples who rebel lose property, prestige, plum positions, and, at times their lives. During the last three decades, the women’s movement in India has provided institutional support to young lovers and newly married couples faced with life-threatening consequences. The criminal justice system and state administration need to be proactive in providing security and safety to young women and men who are targeted in ‘honour’-related crimes. Strict law against honour killings in India will have to be backed by grass roots movements promoting secular humanism and respect for multicultural ethos. A glossary of terms is provided at the end of the chapter. Are a community of traditionally landlord Brahmins who, despite not being numerically superior, are particularly dominant in the Surat Gujarat region of India. Practice, conscious or otherwise, of placing a masculine point of view at the centre of one’s world view, culture and history, thereby culturally marginalising femininity. Is a social practice according to which a boy from upper varna/caste/class can marry a girl from lower varna/caste/class. It is also known as hypergamy associated with custom of dowry. The caste system divides Hindus into four main Varnas, i.e. hierarchical categories called Brahman, Kshatriya, Vaishya, Shudra). Brahmins are supposed to be the most superior and supposed to do intellectual and spiritual work. Kshatriyas are upper caste but below Brahmins and are expected to be warriors. Vaishyas are middle caste and are supposed to be doing trade and business. Shudras are lower in the social hierarchy and do manual (both skilled and unskilled) work. Outcaste people are treated as ‘untouchables’ and are considered to be the lowest in the social hierarchy and are forced to do only menial chores, and the social movement of India called them Dalits, a political name for the ‘the untouchable’. Literal meaning of Dalit is ‘the oppressed’. Means lineage segment within an Indian caste that prohibits intermarriage by virtue of the members’ descent from a common mythical ancestor, an important factor in determining possible Hindu marriage alliances. Are a traditionally agricultural community native to the Indian subcontinent, comprising what is today Northern India and Pakistan. The judgement given by a court that ignores recognized standards of law or justice and often carries little or no official standing in the territory within which it resides. The defendants in such courts are often denied access to legal representation and, in some cases, proper defence by the vested interest heading kangaroo court. In India, those are known as caste council or Khap councils. Is the union of a few villages, mainly in the North India though it exists in similar forms in the rest of the country as caste panchayat. In the last two decades, they have emerged as quasi-judicial bodies that pronounce harsh punishments such as lynching, killing and hanging of dead bodies in public, burning alive and chopping body parts into pieces based on age-old customs and traditions, often bordering on regressive measures to modern problems of intermixing among people of different castes, regions, religions and languages, especially young boys and girls. Jodha bai was the most favourite queen of Akbar, the great, the most famous of the Mughal emperors. Jodha enjoyed an esteemed place in the heart and the royal harem of Akbar and consequently in the palace and the Mughal court. Originally named as Heera Kanwar, Jodha bai was a Hindu princess and the daughter of the Rajput King Raja Bharmal of Aamer. She lived a very long life in the palace of Akbar and died in her 80th year 1622, outliving Akbar by 20 years. Alleged campaigns under which Muslim men target women belonging to non-Muslim communities for conversion to Islam by feigning love. Mandatory payment, in the form of money or possessions paid by the groom, or by groom’s father, to the bride at the time of marriage hat legally becomes her property. While the Meher is often money, it can also be anything agreed upon by the bride such as jewellery, home goods, furniture, a dwelling or some land. Meher is typically specified in the marriage contract signed during an Islamic marriage. Is a distinct kind of marriage recognised only by the Ithna Asharia Shias. Mutta may be defined as a temporary union of male and female for specified duration, on payment of some consideration. As against the permanent or a regular marriage (Nikah), the Mutta may be regarded as a temporary marriage. An Islamic marriage contract is an Islamic prenuptial agreement. It is a formal, binding contract considered an integral part of an Islamic marriage and outlines the rights and responsibilities of the groom and bride or other parties involved in marriage proceedings. Local self-government council which can be formal (i.e. governed by the state) or informal (i.e. governed by the community). An Indian surname originally representing a community of agriculturalists and merchants, predominantly in the state of Gujarat, India. Pratiloma refers to the hypogamy form of marriage. Pratiloma is a type of marital practice in which a man of lower class/caste/varna marries a girl of higher class/caste/varna. Is the magistrate or judge of a Shariʿa court, who also exercises extrajudicial functions, etc. Islamic religious law. This article is about the Islamic judge. ‘Rajput’ identifies numerous kshatriya or warrior castes in northern and western India. The term ‘Rajput’ comes from rajaputra, which means ‘son of kings’. Rajputs are famed for their fighting abilities and once ruled numerous Indian princely states. The British grouped many of these states into the Rajputana Province. Today, it is the Indian state of Rajasthan. Islamic canonical law based on the teachings of the Koran and the traditions of the prophet (Hadith and Sunna), prescribing both religious and secular duties and sometimes retributive penalties for lawbreaking. It has generally been supplemented by legislation adapted to the conditions of the day, though the manner in which it should be applied in modern states is a subject of dispute between Muslim traditionalists and reformists. An Islamic document declaring divorce of the husband and the wife. Bhaduri, Aditi. 2007. When will women come of age? http://www.boloji.com/index.cfm?md=Content&sd=Articles&ArticleID=3024. Accessed on 7-9-2017. Chatterjee, Manini. 2017. Of Akhila and Hadiya—the “love jihad” case in Kerala is deeply problematic. The Telegraph (India). 21 August. Accessed 7 Sept 2017 from: https://www.telegraphindia.com/1170821/jsp/opinion/story_168199.jsp. Daily Pioneer. 2016. Caste issues lead to honour killing. PNS | BHUBANESWAR, Orissa, 10 June. Accessed 5 Sept 2017 from: http://www.dailypioneer.com/state-editions/bhubaneswar/caste-issues-lead-to-honour-killing.html. Frazier, Lewis. 2017. What is the Nepoleon Code Article 324?, 9 September. Accessed 9 Sept 2017 from: http://www.stophonourkillings.com/nepoleon-code-article-324/. Hindustan Times. 2017. Family kills son-in-law to save ‘Honour’, tries to forcefully take away pregnant daughter, 10 September. Accessed 10 Sept 2017 from: http://www.hindustantimes.com/jaipur/family-kills-son-in-law-to-save-honour-tries-to-forcefully-take-away-pregnant-daughter/story-hiO1IeXZmqFsEullTlbUqL.html. Jain, Arvin. 2011. ‘Honour killing’ & freedom of inter caste/religious marriage. Indian Chamber Of Law, 21 April. Accessed 8 Dec 2011 from http://lawjustice-bakeelsab.blogspot.com/2011/04/honour-killing-freedom-of-inter.html. Justice News. 2017. Honour killing: 20-year-old Dalit girl killed by family, 6 January.Accessed 10 Sept 2017 from: http://justicenews.co.in/honour-killing-20-year-old-dalit-girl-killed-family/19386. Narayan, Anjana. 2003. Home and the world: Inter-religious marriages in India. Paper presented at the annual meeting of the American Sociological Association, Atlanta Hilton Hotel, Atlanta, GA, Aug 16, 2003 Online <.PDF>. 2010-10-16. http://www.allacademic.com/meta/p107363_index.html Accessed on 10-9-2017. National Human Rights Commission. nhrc.nic.in/Documents/AR/NHRC-AR-ENG07-08.pdf . NDTV. 2010. Journalist’s mother arrested for alleged honour killing, 4 May. Accessed 10 Sept 2017 from:http://www.ndtv.com/india-news/journalists-mother-arrested-for-alleged-honour-killing-416933. Patel, Vibhuti. 2009a. Empowering harmony at the individual and community level: Communalism as product of the politics of the elite of a religious community. http://www.europe-solidaire.org/spip.php?article13669. Accessed 20 Aug 2017. ———. 2009b. Fundamentalism, communalism & gender justice. http://www.europe-solidaire.org/spip.php?article13223. ———. 2013. Women’s movement and crimes concerning ‘Honour’ an Indian experience a review paper. Research Gate. 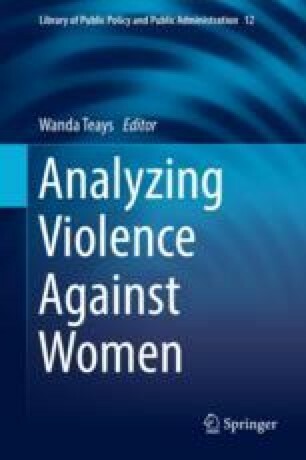 Accessed 5 Sept 2017 from: https://www.researchgate.net/publication/301301688_Women%27s_Movement_and_Crimes_concerning_%27Honour%27_An_Indian_Experience_A_Review_Paper. SC’s Unusual Direction in Hadiya Case Triggers Concerns of Judicial Overreach- an Analysis of SC Order. 2017. Read more at: http://www.livelaw.in/scs-unusual-direction-hadiya-case-triggers-concerns-judicial-overreach-analysis-sc-order/. Singh, Binay. 2016. Mother kills daughter for ‘Honour’ in Ballia. Times of India, 24 May. http://timesofindia.indiatimes.com/City/Varanasi/Mother-kills-daughter-for-honour-in-Ballia/articleshow/52420243.cms. Accessed 10 Sept 2017. Venkatesan, J. 2006. Inter-caste marriages are in national interest: Court. The Hindu, 8 July. Updated 22 March 2012. Accessed 10 Sept 2017 from: http://www.thehindu.com/todays-paper/tp-national/Inter-caste-marriages-are-in-nationalinterest-court/article15734680.ece. WLUML. 2003. Women living under Muslim law. An appeal for action. Accessed 10 Sept 2017 from: www.wluml.org/english/newsbyregion.shtml?cmd%5B53%5D=c-1-Miscellaneous.